Kayak Paddles are instruments that are used to propel your boat forward or backward. Kaya paddles are generally used in canoes and are made using wood, fiberglass or carbon fiber. A kayak paddle comes with a handle on one end along with a strong sheet on the other end of the paddle. Kayak paddles are generally longer than the normal paddles. With this kayak paddle buying guide, we will help you with your selection. 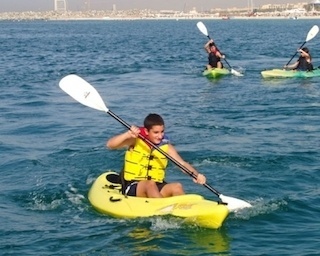 The Kayak paddle is an important part of kayaking as it is the one that is responsible for the mobility of your kayak. Hence, choosing the right paddle is important as choosing the wrong sized or wrong type of kayak paddle may make matters worse while you are on the move in your kayak. Improper kayak paddles can add a lot of strain on your shoulders. In this article, we are going to the look at the various types of kayak paddles available along with the things that you need to consider before buying a kayak paddle along with the best places to buy the best kayak paddle for the money. Who makes the Best Kayak Paddles? Kayak paddles comes in various shapes and while choosing the right kayak paddle, it is important to consider the type of kayak for which you are buying the paddle for. The primary consideration need to the length and width of your kayak and based on that you need to choose the right paddle. These are kayak paddles that will be used in recreational kayaks that are generally used for fishing and short trips. These kayak paddles are generally made using a combination of fiberglass and aluminum. These kayak paddles can only be used for touring small places and short fishing trips. The Carlisle paddle is one of the best that we know so far. If you are looking for some medium sized trips using touring kayaks, then the touring kayak paddles are your best choice. These kayak paddles are normally of the advanced version of recreational kayak paddles that are made using high quality materials. These kayaks are mainly used for some long distance trips and hence a paddle that is lightweight, strong and comfortable in your hands is preferred. Look for kayak paddles that are made using a combination of carbon and fiberglass to provide you with an ultimate kayaking experience. An example of a good one would be the Werner paddles. 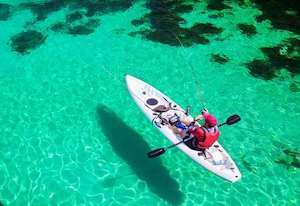 When it comes to choosing the best kayak paddle, it can be quite a daunting task as there are a lot of kayak paddles in the market in various sizes and shapes. Hence it is important to understand your basic requirements and some important factors while choosing the best kayak paddle. One of the important factors that need to be considered while choosing the best kayak paddle is the design of the blade and shaft of the paddle. The more the wider is the blade, the more impact it will create in the water and thus you will gain more power with each and every stroke. This added power from the paddle will help you manoeuver the kayak more easily and quickly. It also helps for faster acceleration. Hence, if you are looking to go for a trip that involves a lot of kayak control, then it is better to go for a paddle with a wider blade. But if you are looking to go on long trips with a lot of paddling involved, then a narrow blade is the best choice. Because narrow blades provides less resistance and hence you can easily go a long distance without getting tired. 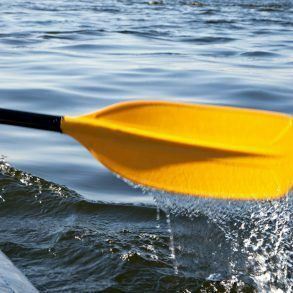 Kayak paddles are made using various kinds of materials including wood, fiberglass, plastic and aluminum. The performance of a kayak paddle largely depends on the material it is made up of. Hence, it is important to consider the type of material the paddle is made up of before buying one. If you are looking for kayak paddles in a budget range, then it is best to go for paddles made using plastic and aluminum as they are largely inexpensive and cheap. But if you are looking for high performance paddles, then you definitely need to go for paddles made using a combination of fiberglass and carbon that provides ultimate performance, but comes with a hefty price. If you are looking for a 100% carbon shaft, check out our this Aquabound paddle. The net important factor is the kayak length as it also plays an important role in affecting your kayaking experience to a great extent. If the paddle length is too short or too long then you’ll end up with a bad paddling experience. When it comes to paddling, there are two styles of paddling. High-angle paddling and low-angle paddling. High-angle paddling is more about keeping your paddles vertical with each stroke as it creates more powerful strokes. These paddles need to be wide with a shorter shaft. 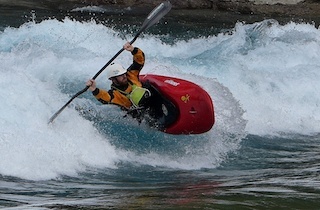 Generally, paddlers looking to go on white-water racing and short tours prefer these high angle paddling. Low angle paddling is all about keeping your paddles horizontal to the water with each stroke. And this requires longer and thinner blades. Hence, it is important to understand your style of paddling and go for a paddle that suits your style. Kayak Paddles are available in many online websites along with your neighboring stores. But if you are looking for the best place to buy kayak paddles and other accessories, then you can check out some these websites that offer kayaks and paddles in various sizes and types along with lots and lots of kayak gears and accessories. You can find kayak paddles for all ages and in all budget ranges. 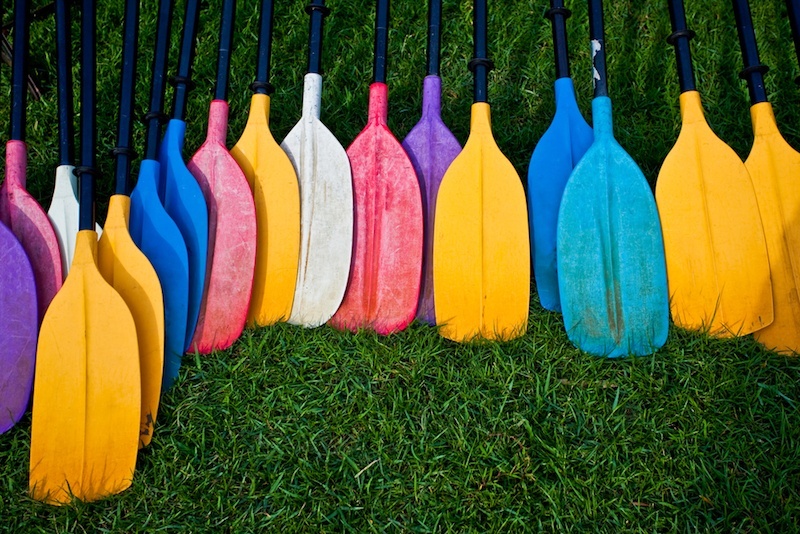 We hope you enjoy our kayak paddle buying guide. Feel free to leave any comments below.